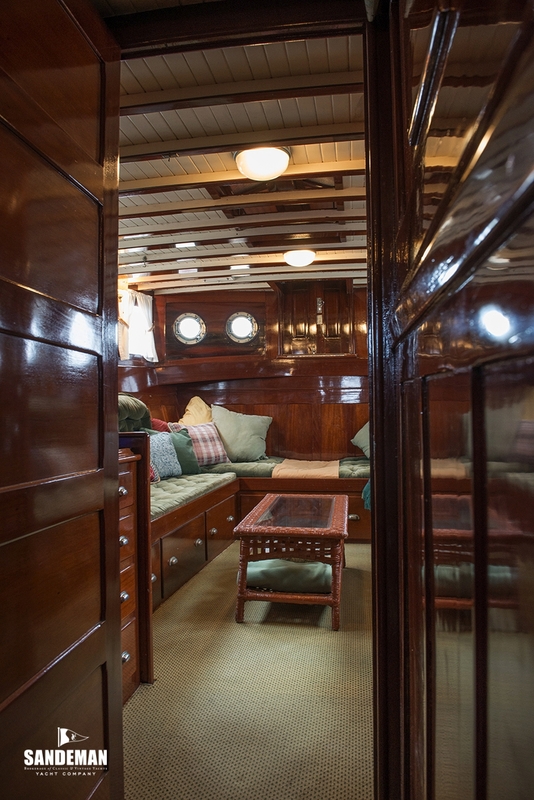 Although we live in relatively affluent times, the lifestyle may not compare with the extravagance of the 1920s. 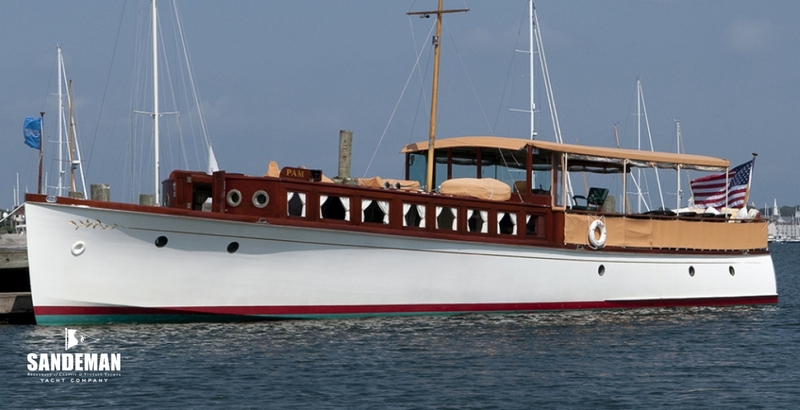 The commuter yacht PAM was built for the Walker family of H W Distilleries to commute across Lake St Clair. 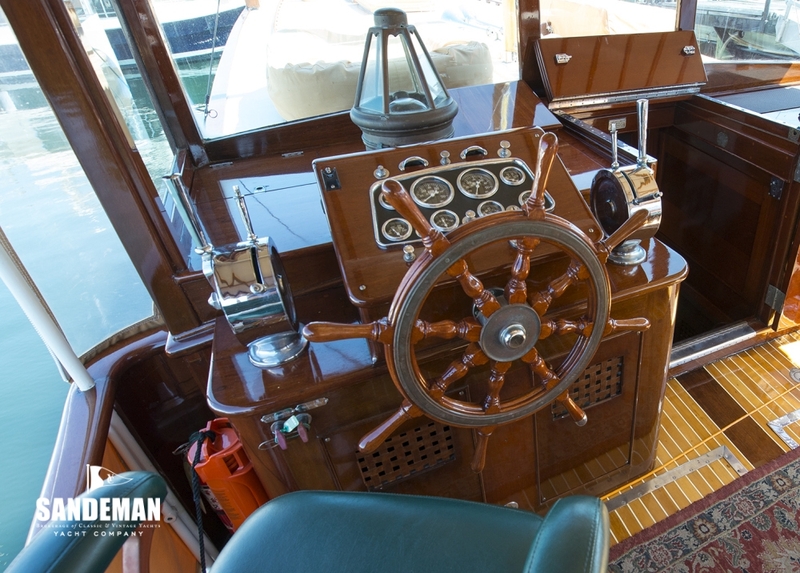 PAM was capable of 30 knots in 1921 – impressive even today for a boat of 62 ft ! 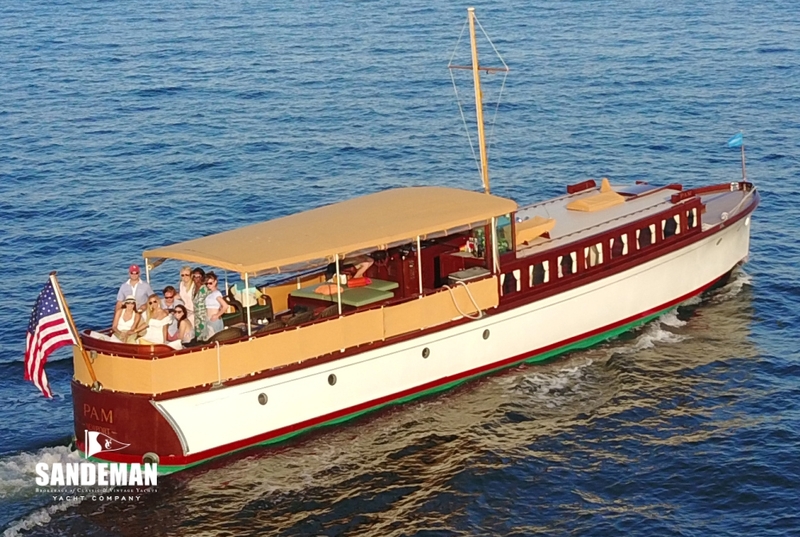 She would be ideal for a high-end hotel or restaurant on any lake, canal, river or protected bay in the world for luncheon, cocktail, dinner or wedding cruises. 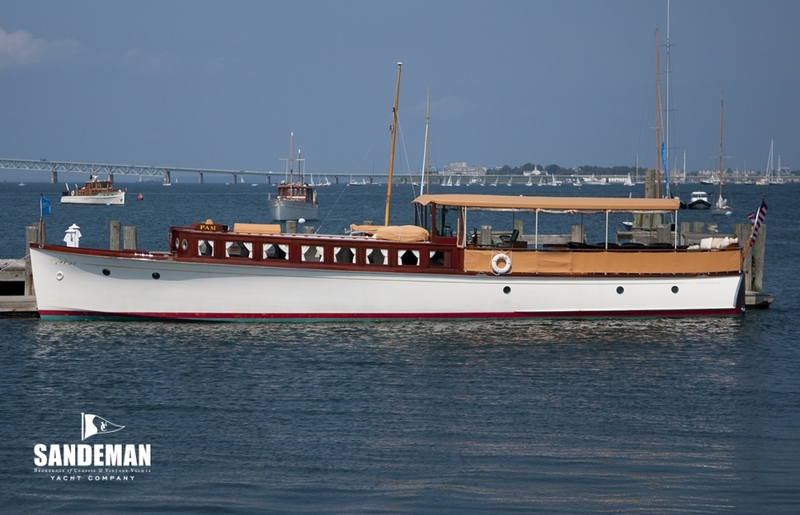 The commuter yacht PAM was built for Harrington Walker grandson of entrepreneur Hiram Walker founder of HW Distilleries Distilleries in 1921 by Great Lakes Boat Building in Milwaukee, Wisconsin. 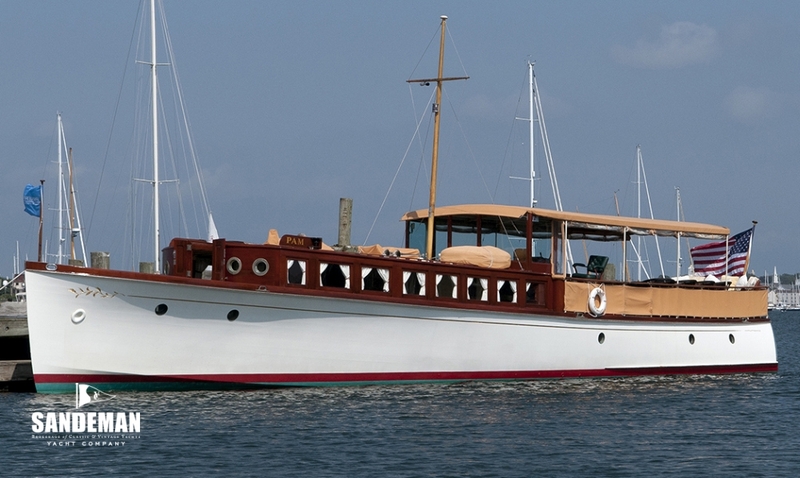 (There is only one other known vessel surviving built by them.) 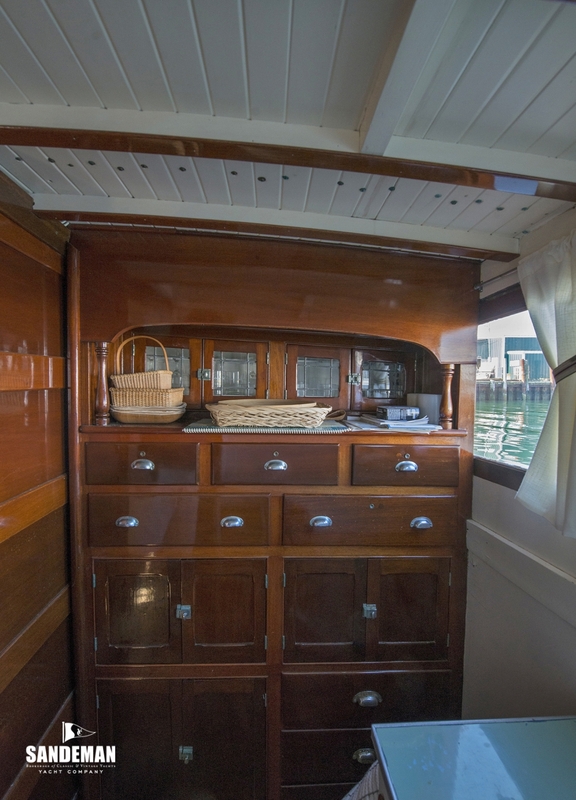 She originally had twin Sterling Petrol gasoline engines propelling her up to 30+ knots from Grosse Pointe, Michigan to the distillery in Canada during Prohibition. 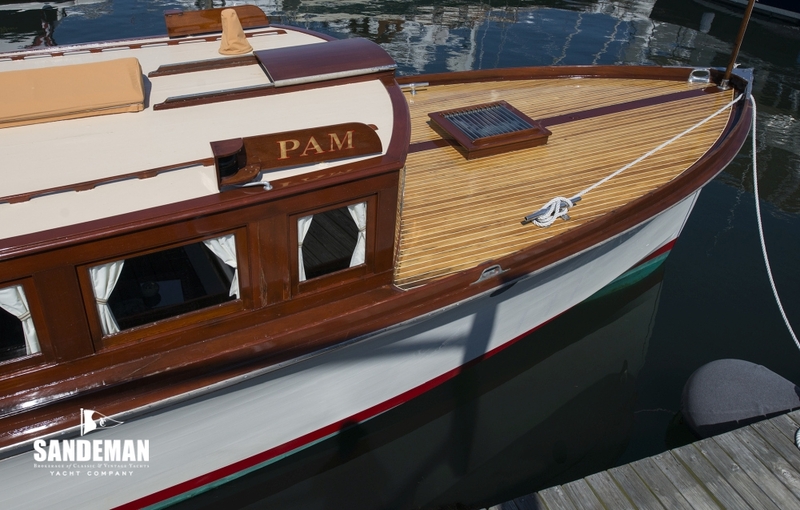 PAM is her original name (after Hiram's granddaughter). 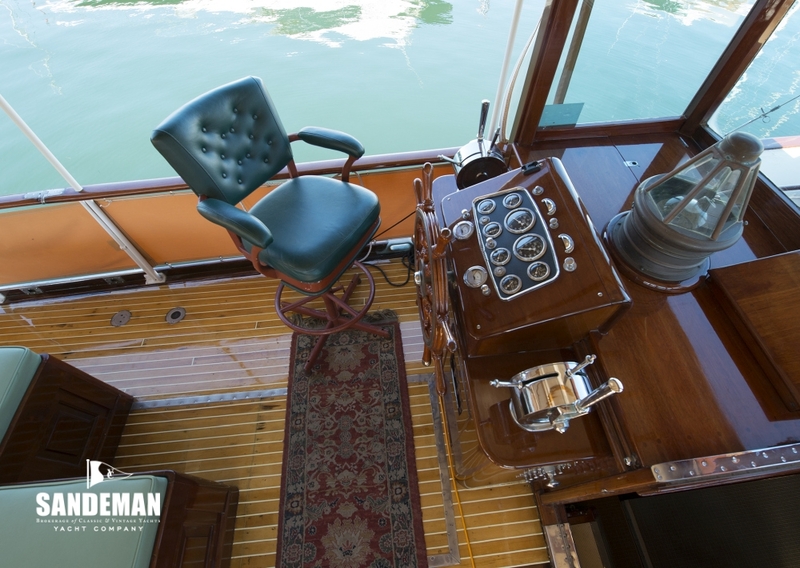 The late Bob Tiedemann discovered PAM half sunk and in derelict condition in 1989 up the New River in Fort Lauderdale, FL. 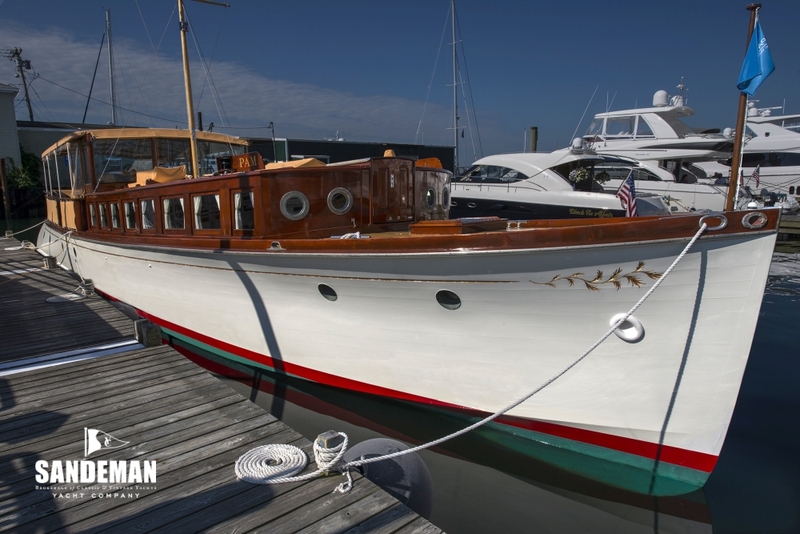 He managed to get her then Chrysler gasoline engines running and limped her up to Newport, RI on her own bottom. 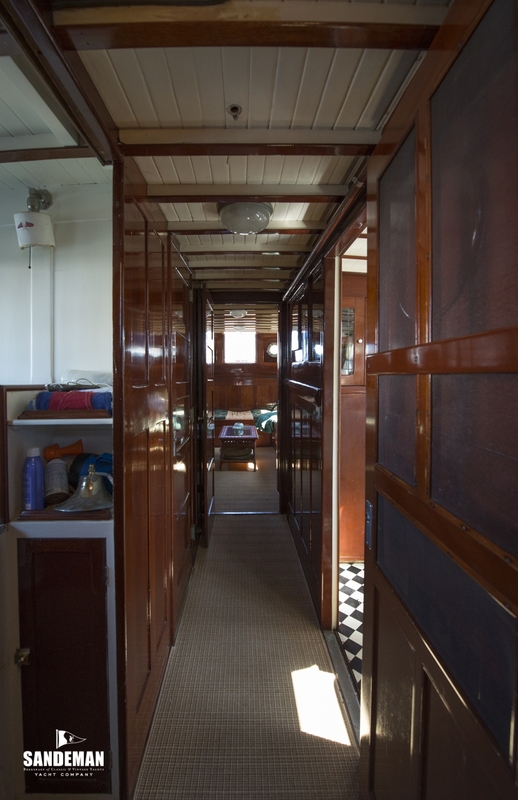 In 1991, her restoration began to ready her for chartering. 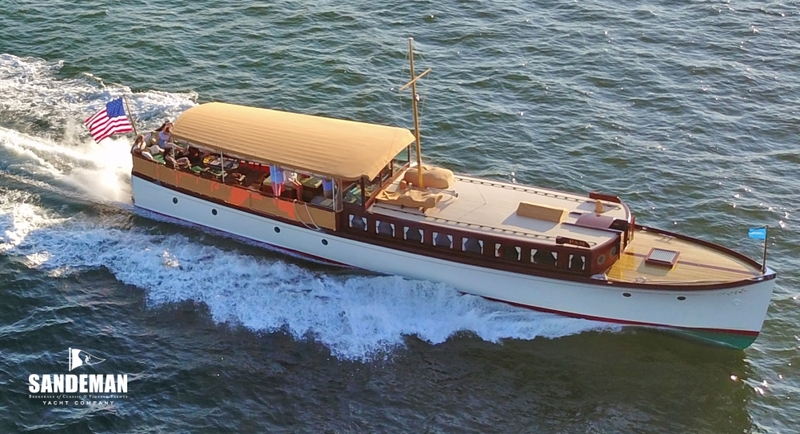 She is USCG certified to carry 23 passengers plus the captain and mate. 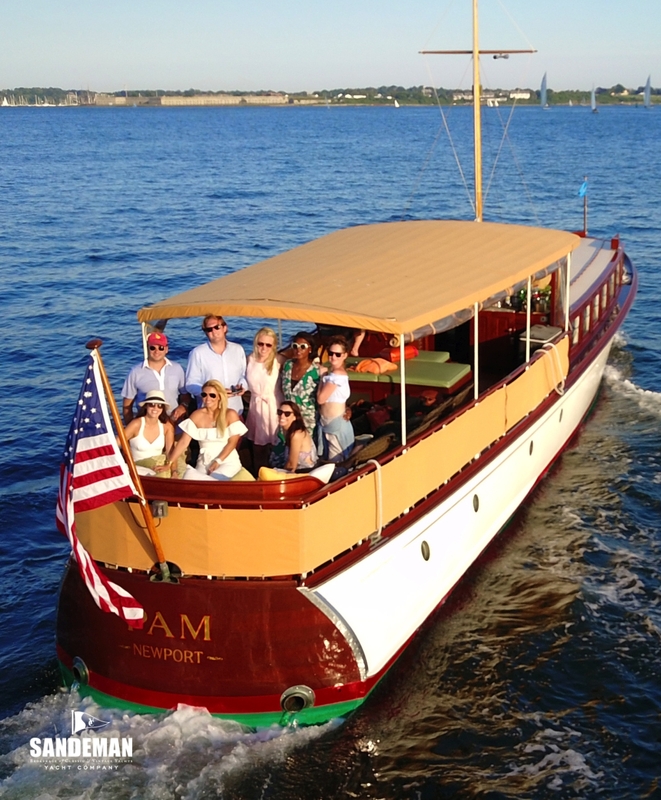 PAM has delighted many people in her successful 20 + years of private day chartering. 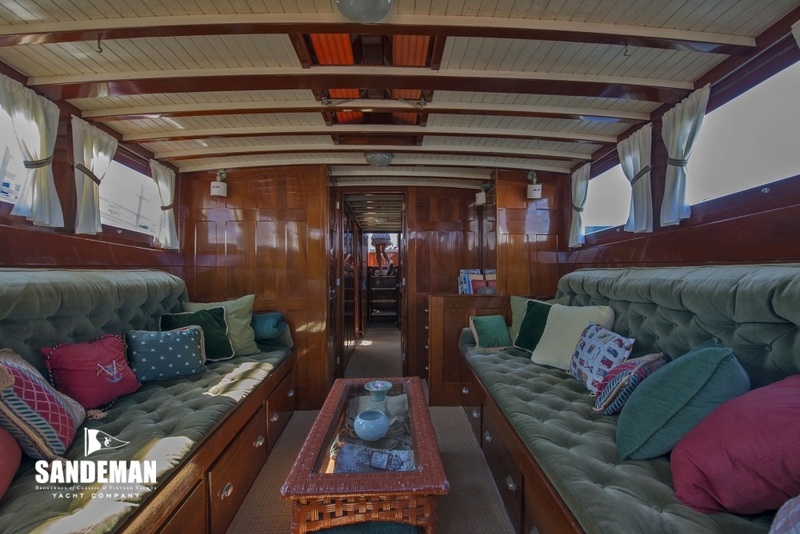 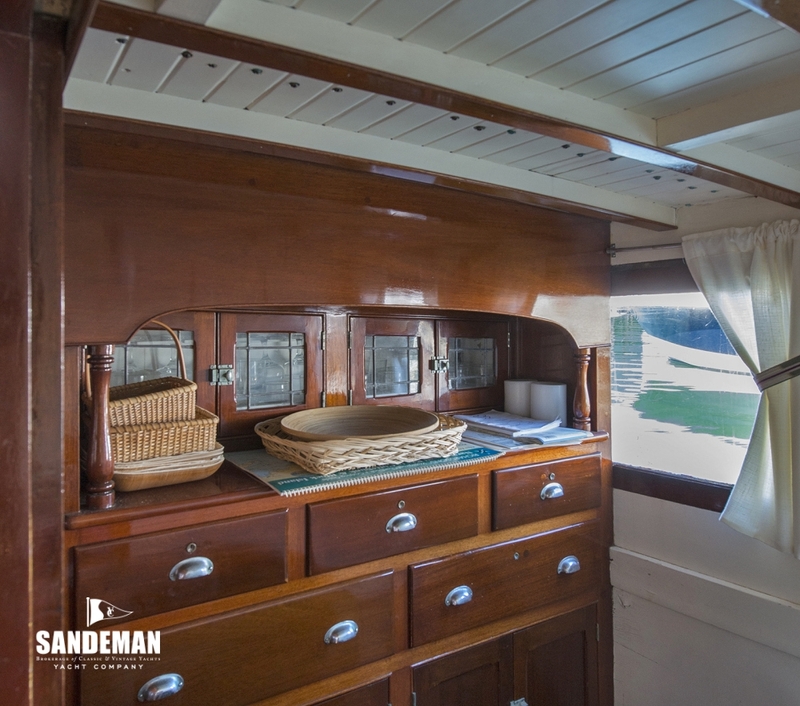 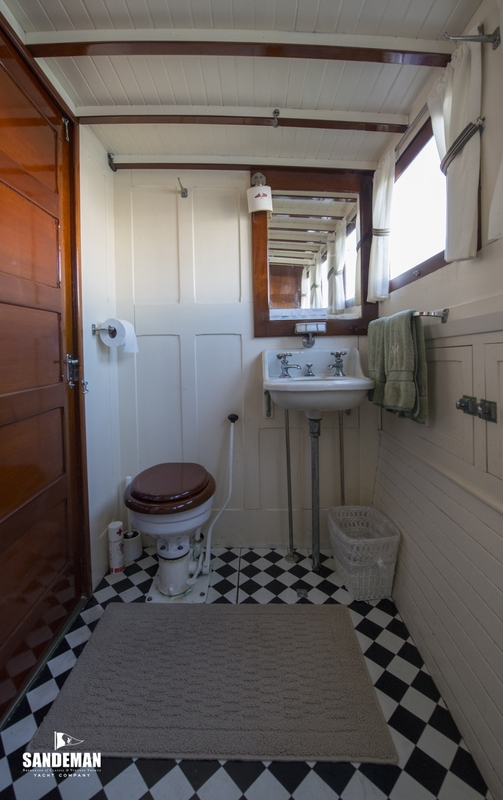 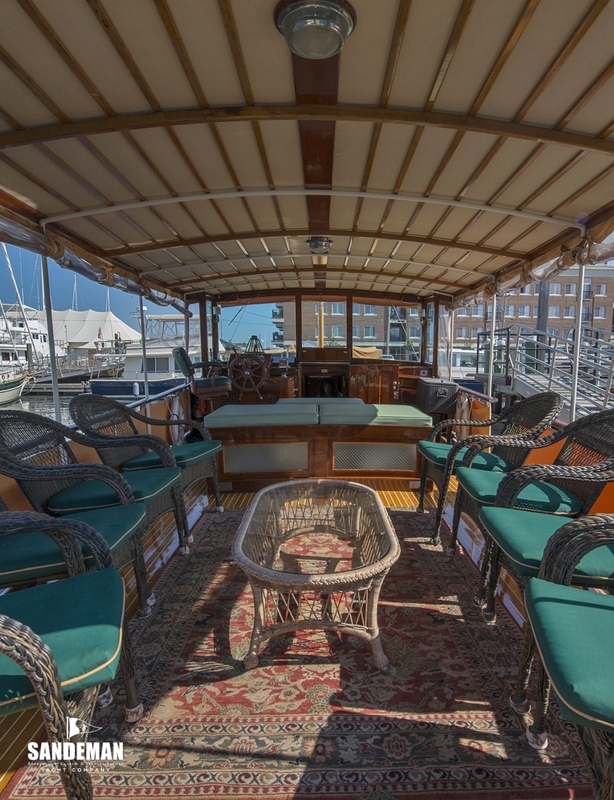 The original varnished aft deck has 8 wicker chairs, a coffee table, a beautiful bright and cushioned day bed and coordinating cushions on her varnished engine box. 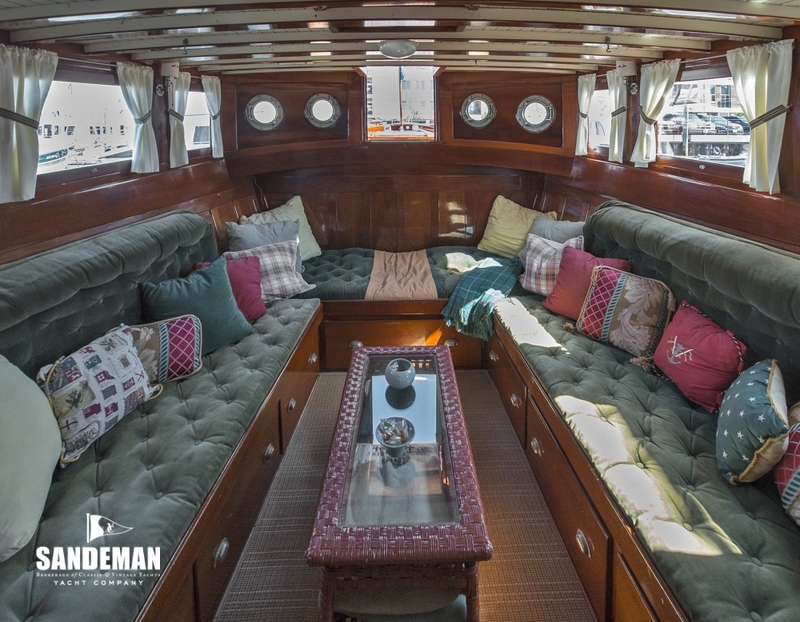 She seats a total of 20 people in comfort on the various locations on the aft deck. 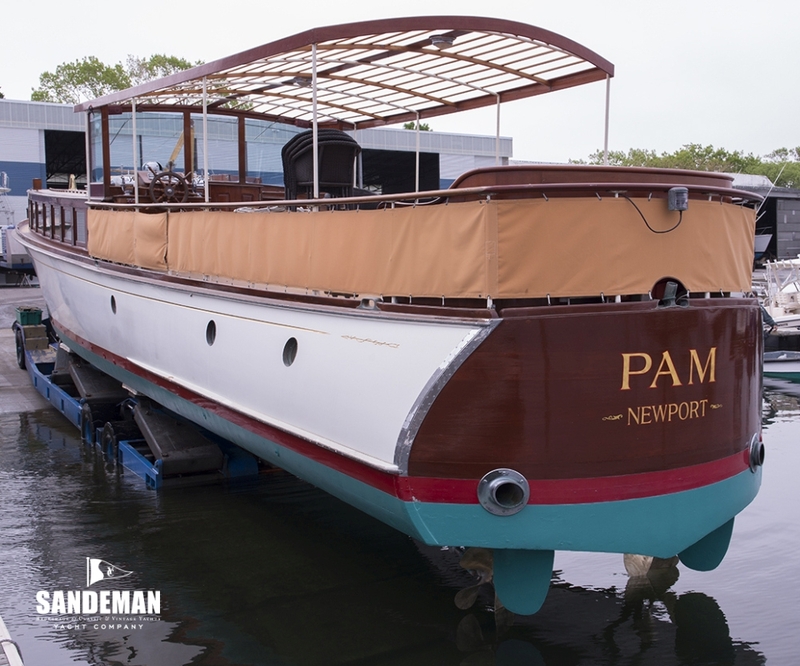 The start of PAM’s full restoration was in the early 1990s. 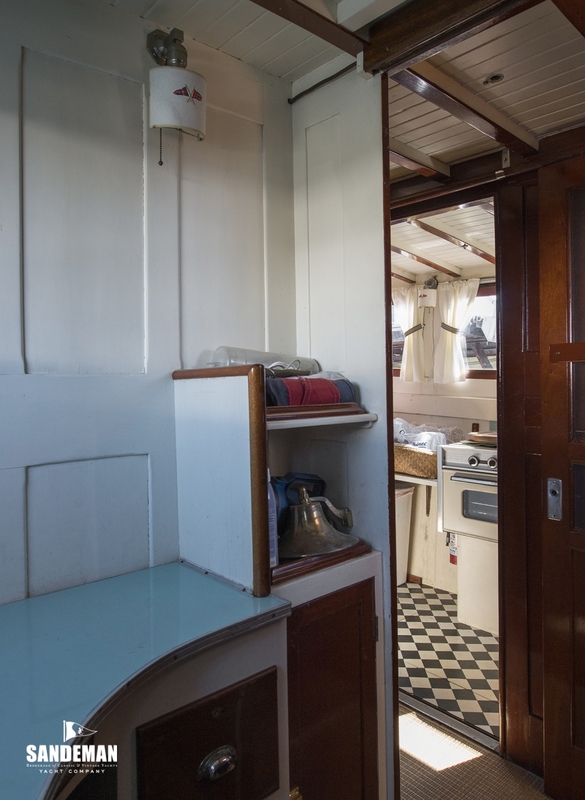 Maintenance has been ongoing with bottom planks and frames replaced where and when needed. 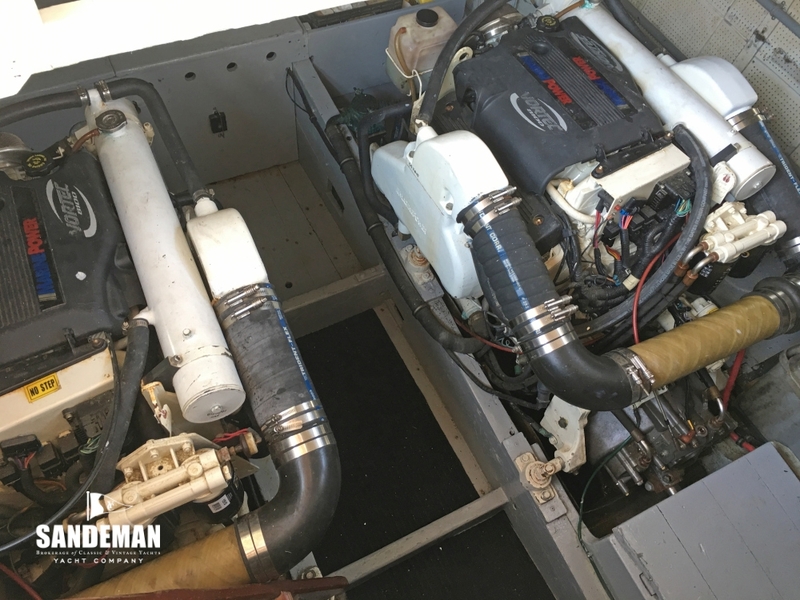 She was repowered in 2001. 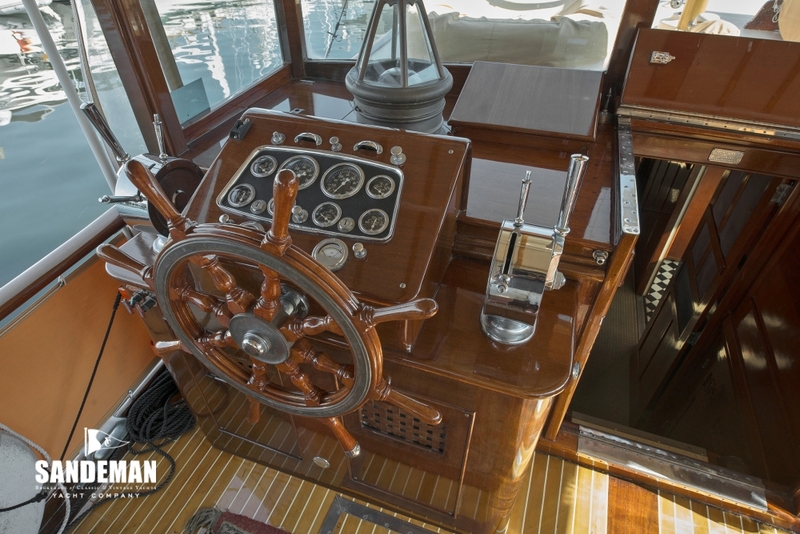 Her topsides were wooded in 2007. 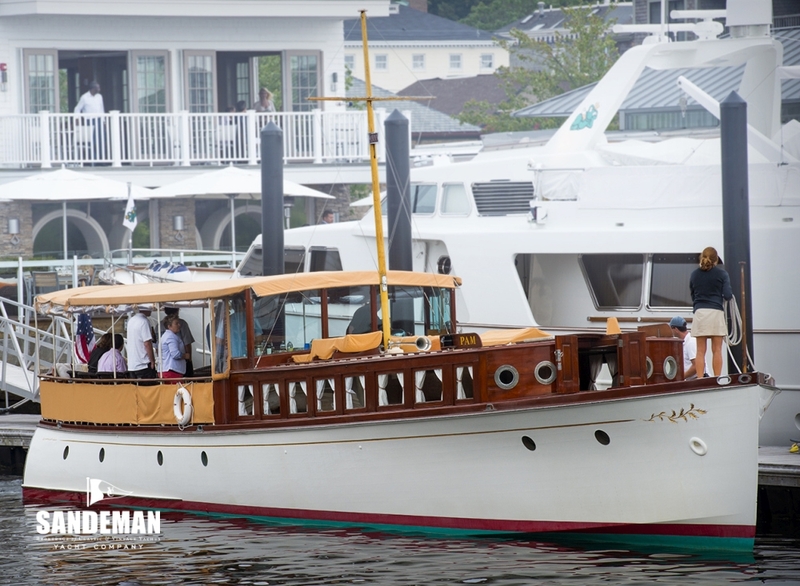 She is inspected out of the water annually as she has to remain USCG compliant. 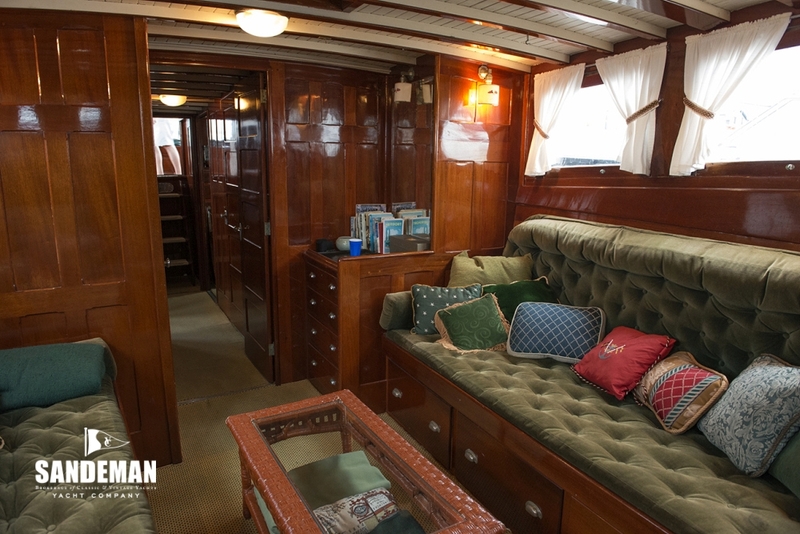 PAM is stored in a shed with dirt floors in the off season. 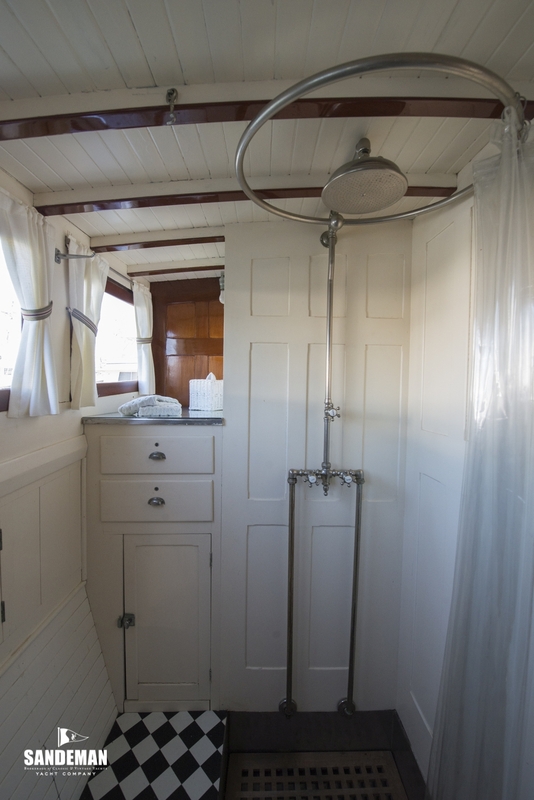 The Bright work is a yearly project and stripped when necessary.